Our beautiful Lakeside Lawn is the perfect venue for your outdoor wedding ceremony. An intimate location offering views of the lake and golf course for stunning photographs. Magenta Ballroom The perfect venue for large or small weddings, with amazing views over Magenta Shores Golf and Country Club. This is a stunning setting for your special day. Catering for a minimum of 60 and a maximum of 180 guests with plenty of space for a dance floor and band. 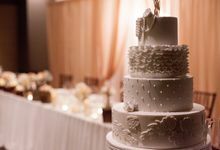 For a majestic wedding celebration with a spectacular oceanfront location and a lush green golf course as your picturesque backdrop, Pullman Magenta Shores Resort will exceed all expectations. Whether it be a grand celebration or more intimate event, choose from 2 flexible and elegant function rooms which boast panoramic golf course views and combine to one large area seating up to 180 guests. Delight the palettes of your guests with modern Australian cuisine featuring Mediterranean and French influences created by our Executive Chef. Impress your guests with a superb selection of appetising canapés or gourmet 2-course meals, complemented by a comprehensive wine selection. 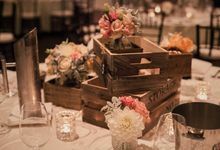 Plan your dream wedding together with our experienced Wedding Coordinator who will tailor your specific needs to create an unforgettable day for you and your guests. 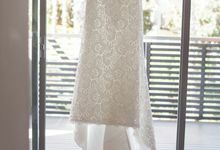 Only a scenic 90 minute drive north of Sydney, Pullman Magenta Shores Resort offers a unique 5-star wedding reception venue where you will have everything you dreamed of and more, for your special day! Pullman Magenta Shores Resort opened July 2006, with a refurbishment of all accommodation rooms and cocktail lounge in May 2015. Pullman Magenta Shores Resort has been designed to offer Central Coast travellers the best of both worlds — the crisp, professional service and state-of-the-art features of a corporate hotel along with five-star, resort-style amenities that make the most of our oceanfront setting. 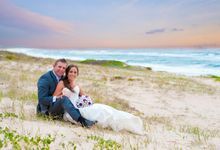 Our beautiful surrounds and state of the art wedding venues in Central Coast will ensure your special day will be as memorable as you can imagine!